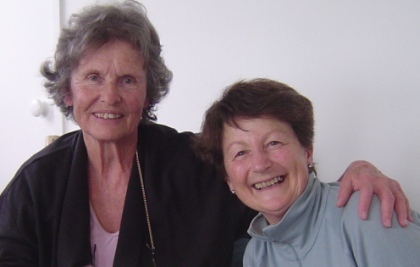 Ione Evans (nee Borwick) and Louise Palairet (nee Nation) met recently in New Zealand. Ione is descended from Henry Green, while Louise is descended from Henry’s younger brother Edward Lister Green. I hope the chart showing how they are related is visible. The Green brothers were born in Montreal, Quebec, and came to the Cape Colony in the 1840s with their father, William John Green. Henry was, like his father, in the Commissariat Department of the Army, and was at one time British Resident of the Orange River Sovereignty, and then lived in Colesberg until he joined the diamond rush to Kimberley. Edward Lister Green was an army officer who served in India, China and Ireland, and retired to New Zealand. I’m not sure which branch of the Growden family this is, but it seems interesting nevertheless. A northwest Ohio family who helped establish the national World War�II Memorial in Washington, D.C.�got special recognition Sunday. Former Veteran Roger Durbin from Berkey, Ohio�helped come up with the memorial idea, and Congresswoman Marcy Kaptur helped pave the way in Washington. Roger’s granddaughter, Melissa Growden, was also a part of building the memorial, and she accepted the gift. “We receive phone calls, emails… People stop us on the street to say thank you,” she says.